I am a very hard working individual that is currently under going studies in order to become a veterinary nurse. I thrive for success and I am keen on learning new things and expanding my knowledge. I am a very trust worthy individual that is looking for an opportunity to work with animals as I believe they are the best company a human could have. Animals are a very important aspect in my life and I hope that I could have the opportunity to work with animals and care for them. I am currently working as a training veterinary nurse therefore, I promise you your pet would be in the best care. Not only are they your pets but I like to see them as a member of the family. Therefore, love and care is essential. 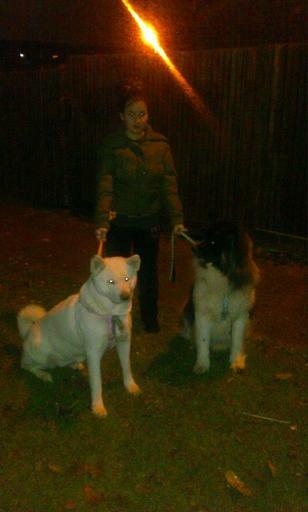 I am a proud owner of beautiful Akitas therefore, I have experience working with big breeds of dogs as well as small ones. I am a confident individual that is willing to build a bond with your pet so they feel comfortable when in my care.